I can't believe we are in December already, the last month of the year. This time last year I hadn't even announced my pregnancy, I was still in shock, but I was all in worries that something was wrong in my pregnancy. All was ok when I had my first scan on the 30th of December, the day I announced our third pregnancy. 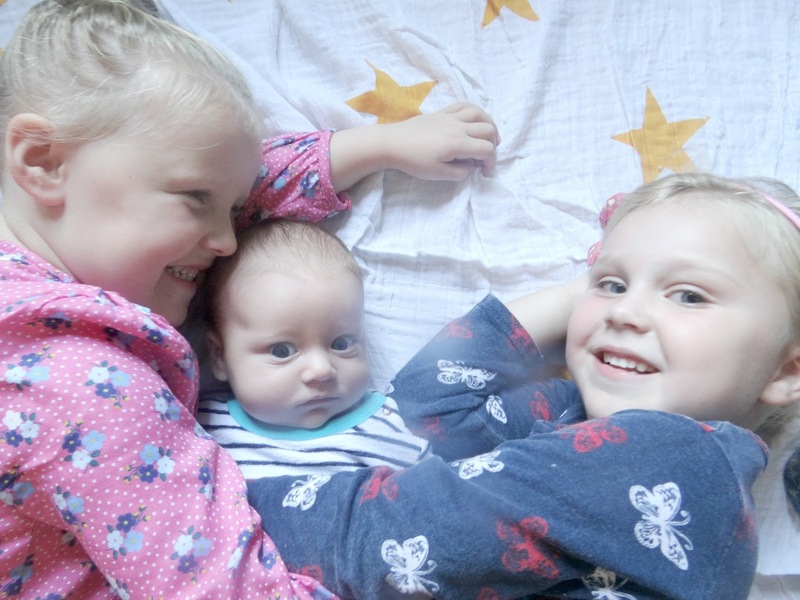 For the whole 9 months (nearly) I kept thinking how was life going to be having 3 children and now that I have nearly 5 months experience of my being a Mum of 3, I can say that it is blooming difficult but also a blessing. 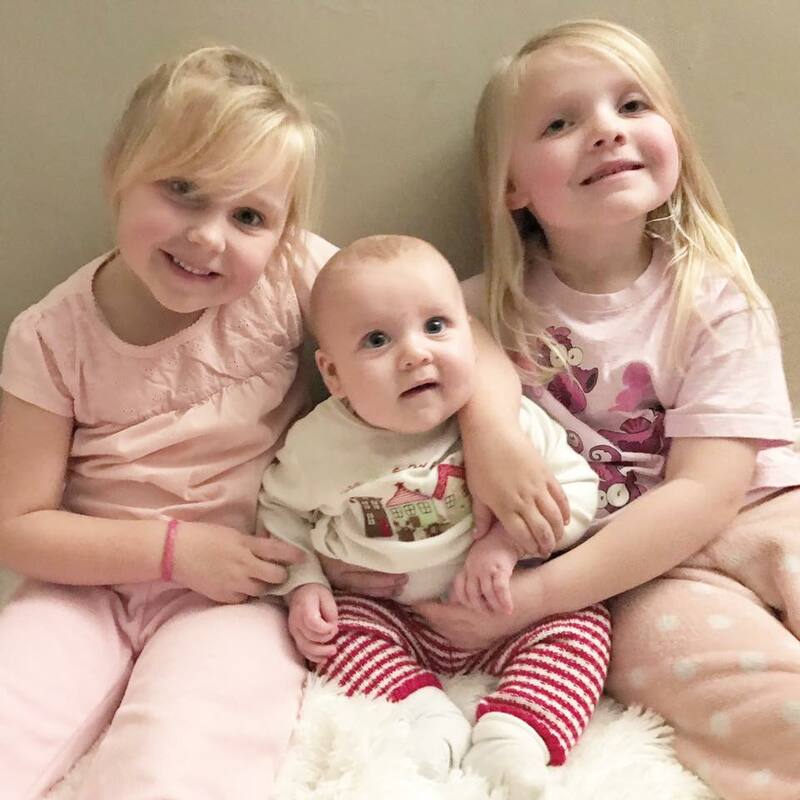 It's been lovely watching the bond grow between each child, especially the bond between the girls and Freddie. They absolutely adore him, and he adores them back. 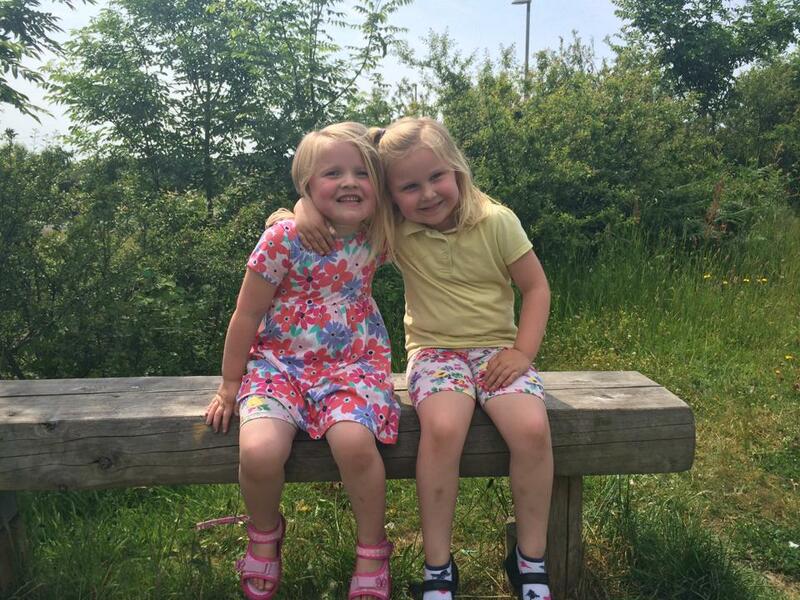 I gave birth to Freddie the day after they broke up from school, and so the girls were with me every day from the day Freddie was born up until they started school in September. It hard had the girls home 24/7 and a newborn baby, the summer didn't really go to plan, it was challenging, and an experience and I hope for a better one next year. Freddie recognises the girl's voices and it amazes me how close Freddie and Mia are. The minute Freddie hears Mia's voice, he has a huge smile. He does with Elliw too, but I think Mia has more patience with him. 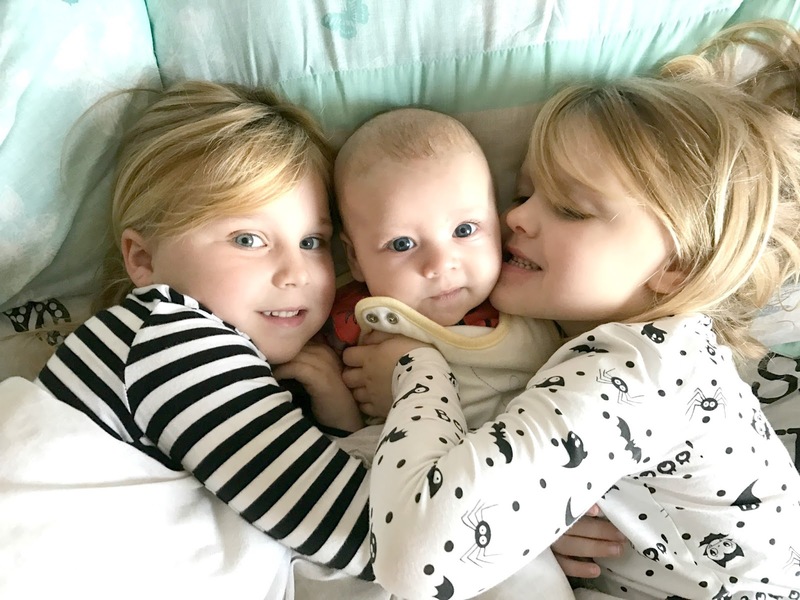 As Freddie is more aware of his surroundings and recognising voices and faces, both girls love to sing with him, cuddle him and talk with him. A number of times Freddie has won the game 'I spy', I've lost count (he gets away with a lot ha ha!). Freddie is more alert on the school runs and watches the girls holding the pram side by side while they moider my head or play games. They love to sing to him and read stories on their way to school. It's something I take in each day and love watching. Knowing that one day that will stop, it's quite sad to think, but at least I will remember it. Mia and Elliw argue a lot, and I think it must be a sister thing. They can argue over the silliest things, but they are there for each other if either of them is stuck on anything. They are pretty good at helping each other out. While Mia likes to be the boss and in charge, Elliw can be pretty hard with following instructions, so they both get frustrated and end up arguing.